Quote Wall Sticker. 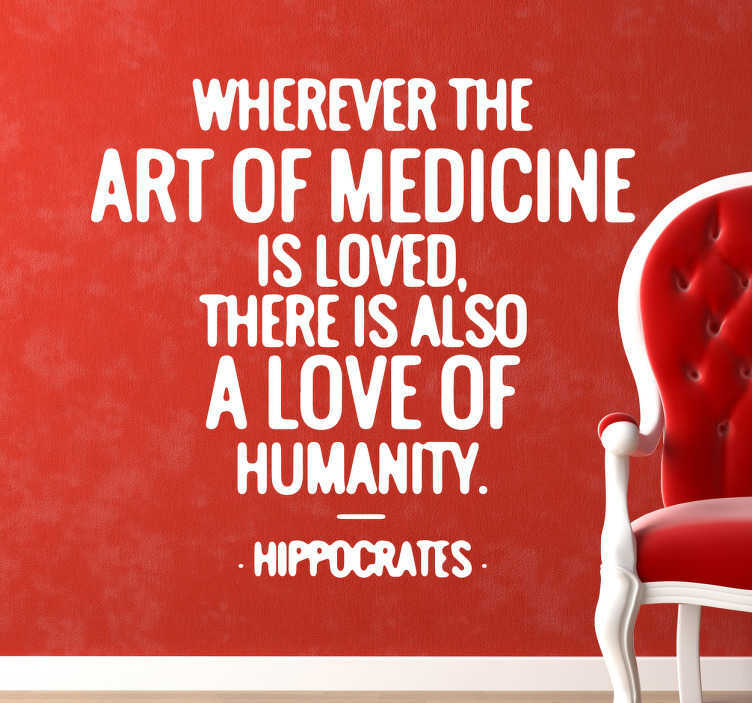 "Wherever the art of medicine is loved, there is also a love of humanity." Medicine is the art and science of healing. Hippocrates is one of the most outstanding figures in the history of medicine and is considered to be the father of modern medicine. If you're studying medicine and often disillusion yourself with the long hours, use this sticker to stay motivated and to reach your goal.